Still love your iPhone 3gs? We understand! If you’re not yet ready to trade up to a newer model, you can still keep your iPhone 3gs working like new with the help of SR Phone. Our expert technicians have repaired all types of iPhone 3gs problems, as well as malfunctions with iPhone 4 and iPhone 5. From cracked screens to freezes and crashes, we can troubleshoot any issue and make the necessary repairs quickly and affordably. In most cases, you can get your phone repaired the same day you bring it in. 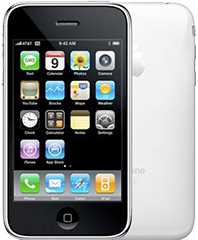 We also offer a 6 month warranty on all parts and labor with our iPhone 3gs repair service. Can SR Phones® technicians only repair cell phones or can they repair other electronic devices as well? My toddler dropped my Blackberry phone in the toilet, what do I do? What is going to happen if I no longer wish to have my electronics repair done at SR Phones®? What does the repair price estimate include? Does it include just the labor? Am I expected to pay for the repair before or is payment due upon receipt? Can SR Phones® backup data on my device? If I really need my item repaired as quickly as possible, how can I be sure your mail-in services are fast enough? Are the repair technicians at SR Phones® able to repair a water damaged phone? The iPhone is such a popular smartphone that it is no wonder that Cell Phone Repair has so much experience fixing the common issues that affect it! Replacing screens and batteries, repairing water damage and home buttons, fixing charging and audio issues our technicians have seen it all. And that’s good for you. Not only can you trust SR to provide excellent service when your iPhone needs repaired accidents happen but you can learn from the mistakes that we have seen and fixed. Our goal: To help you avoid the common issues that result in iPhone repairs but to provide you with fast and affordable fixes if they happen to you! If you own an Apple iPhone, having a reliable iPhone repair service that you can count on definitely provides peace of mind. Whether your iphone needs repairs or a battery replacement, SR Phones has the parts, tools, and experience to get the job done right – quickly and hassle-free. You can also sell your iPhone to SR Phones and trade it with one of the many refurbished smartphones you can find in our stores. If you have a broken, cracked or shattered iPhone screen, you are not alone. Did you know studies show that one-quarter of all iPhone phones has a damaged screen? In fact, a broken screen is one of the most common iPhone issues, and the average user puts up with a broken screen for a full six months before purchasing a new phone. But why spend money on a brand-new device when you could fix your iPhone screen for just a fraction of the cost? The experts at SR Phones offer reliable, affordable iPhone screen repair services, so there is no reason to put up with that broken screen anymore! 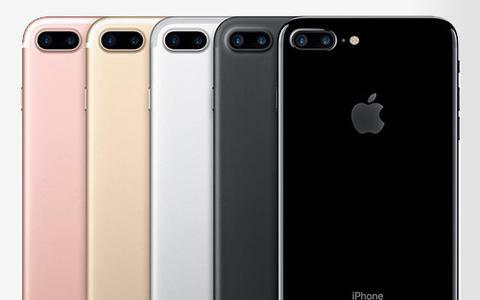 30 percent of iPhone users report having damaged their device, and water damage is one of the biggest problems. 18 percent of those with a broken iPhone point to liquid damage as the culprit. Luckily, the certified, trained technicians at SR Phones have the expertise and experience to troubleshoot and repair your water-damaged iPhone, whether you spilled your morning cup of coffee all over your device or accidently dropped it in the toilet. We’ll repair your smartphone for less money and less time. Depending on the specific repair, our technicians may even be able to repair your device while you wait. SR Phones prides itself on providing high-quality, affordable iPhone repair services so you can get the device repair you need without breaking the bank. SR Phones offers a full six-month warranty on all repairs and all parts used in the repair process. If something goes wrong, we’ve got you covered. For a free repair quote, find the SR Phones location closest to you! If your device breaks, don’t panic. Mobile Phone Repair In Dubai offer a huge range of mobile phone & tablet repair services. We offer free postage with all Mobile Phone Repair In Dubai & tablet repairs. Saving you time and money. Just print the label and send. In most instances we will fix your phone onsite. In the instances when we are unable to do so we will send your phone off to our central repair workshop who will repair your phone to the highest standard. As an official accredited repairer our repairs don’t void your new phone warranty Most high street phone repair shops are unaccredited and will void your new phone warranty. It doesn’t matter which Dubai retailer you bought your phone from – we can repair it. Your phone warranty and our guarantee apply. Has your phone fallen into the toilet, gone through the washing machine or taken a dive into the pool? Mistakes happen and so does water damage. Luckily if you take care of fishing your device out of the water, iPhone Repair Services technicians will take care of the rest. Mobile Phone Repair In Dubai technicians are experts in phone water damage repair. If you have tried all the tricks in the book to dry your phone out and have come up empty handed, let iPhone Repair Services technicians take a look. Our technicians have been professionally trained to handle water damage in phones, tablets, laptops and other electronic devices. We will try everything in our power to save your gadget. If your device is beyond the point of repair, we will gladly assist you with data recovery and data transfer to a new device. Visit your local iPhone Repair Services store today for a free estimate on your water damaged device. Is shattered glass clouding the screen of your phone, tablet or laptop? Devices with cracked screens can make it difficult to complete even the simplest of tasks. Fortunately, iPhone Repair Services specializes in the repair of cracked screens. Our technicians have the knowledge and expertise to fix screens on devices of all makes and models –often times while you wait in store. No appointments needed. Simply bring your cracked iPhone, iPad, or other device to a local iPhone Repair Services Cell Phone Repair store and we will evaluate the damage, offer a diagnosis of the problem, and provide you with a repair estimate—all free of charge! If you choose to go forward with the repair, you can expect fast turnaround time, affordable prices, and quality replacement parts. iPhone Repair Services also carries a wide variety of iPhone and iPad accessories and cases to keep your newly repaired phone safe and free from further damage.